Times are changing and discs are slowly being replaced by USB drives! 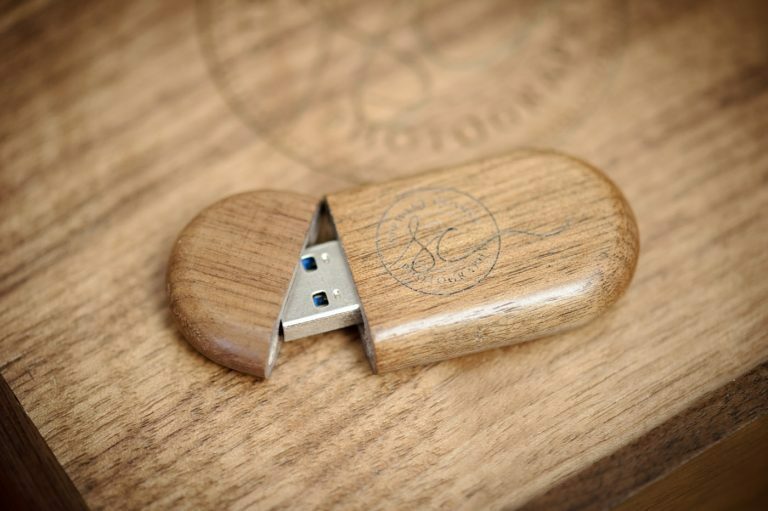 As a small addition to your wedding package, you can choose to have your wedding day photos supplied on a USB drive as well. 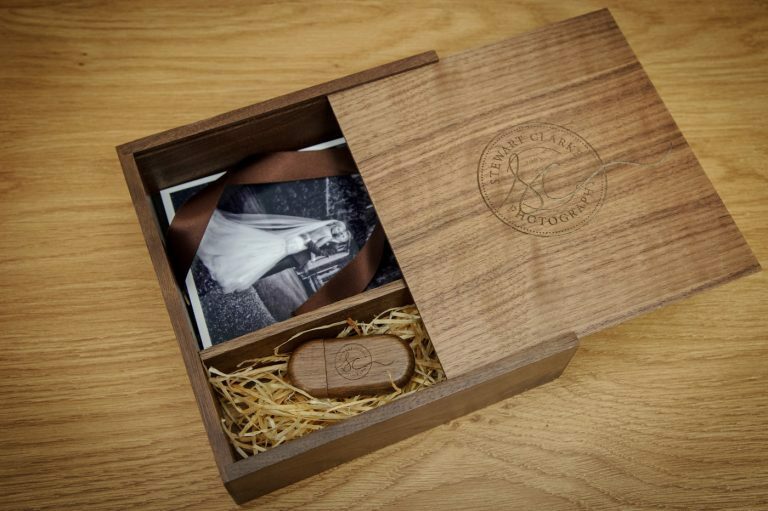 Introducing the USB Print Box - the perfect compliment to a digital wedding package! 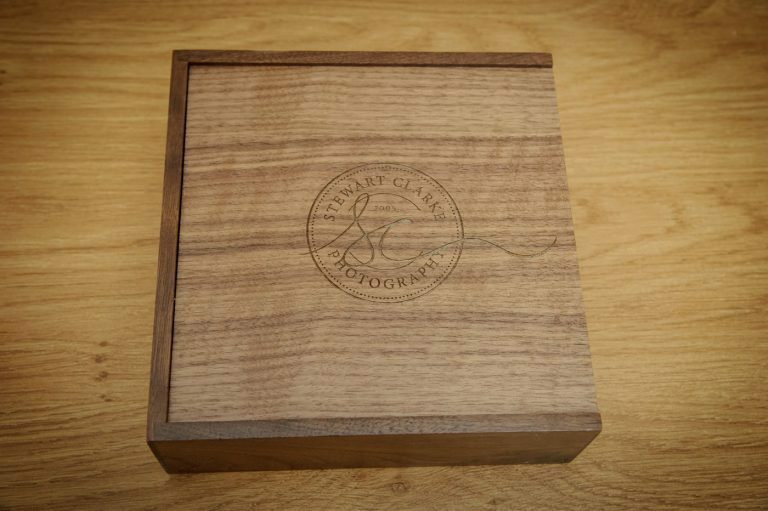 The Dark Wooden Print Box is a stunning, high-quality box made from sturdy natural wood, it comes with a sliding lid and a half moon crescent for easy opening. 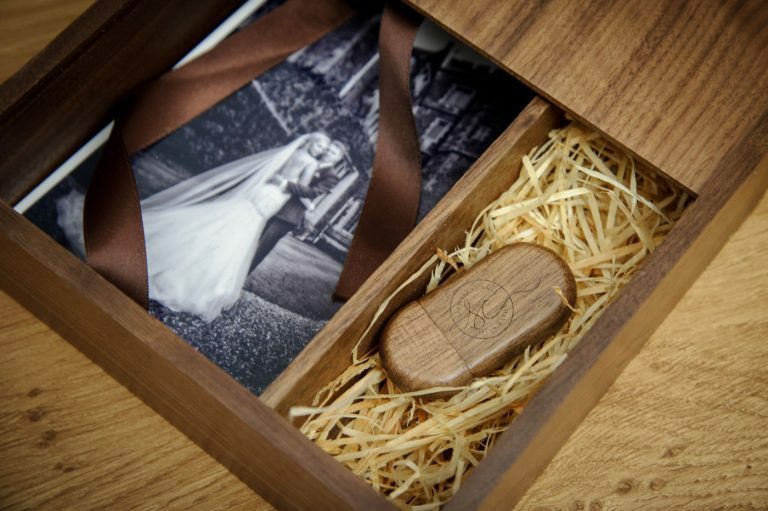 The print box is supplied with a small selection of 6 x 4 inch prints, but can host up to 150 prints, so perfect for adding your own memories to the box. 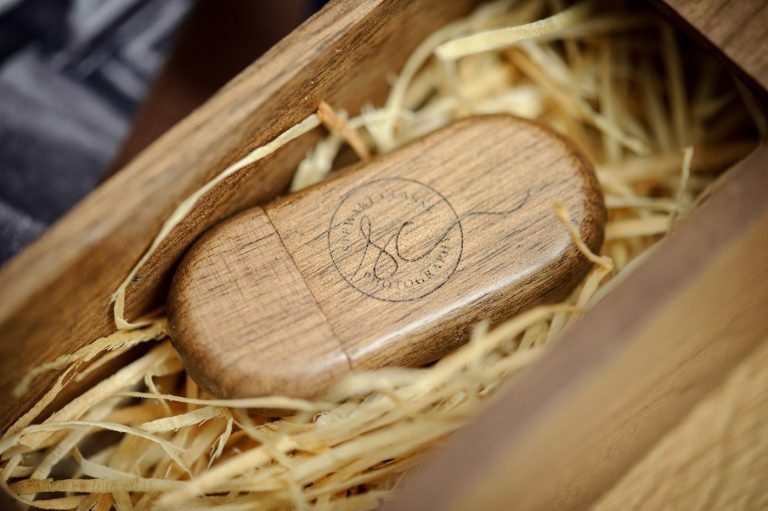 The box also features a side compartment for a perfectly matching Dark Wooden USB Drive. 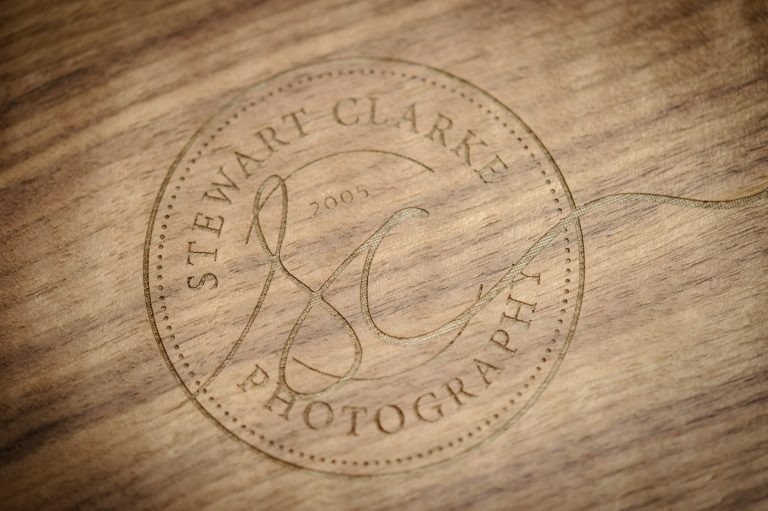 Perfect for all your high resolution wedding day photos and high definition wedding slideshow. The USB Print Box is only available as a package add-on. 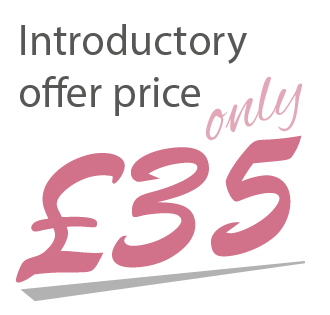 Please enquire for further details.